Hanoi (VNA) - The Ministry of Industry and Trade’s Competitive Management Department has recently announced a list of 16 multi-level marketing companies without business licences. The named companies have been operating in Hanoi and central provinces of Quang Nam, Nghe An, Thanh Hoa and Binh Dinh. In Hanoi alone, 10 businesses were discovered including Everrichs Global Company, Merro Trade Company, Focus Vietnam International Trade Company, Blue Ocean International Investment Company, Amkey Vietnam Company, Lotuc Vietnam Trade Development Company, Union Vietnam Investment and Development Company, Big Forest Company, KDM Vietnam Company and Thien Phuong Vietnam Company. The remaining firms in other provinces include individual household Truong Thi Kim Nguyet in Quang Nam, Truong Sinh Science and Technology Company in Nghe An, Phuc Gia Bao Investment and Trade Company in Ba Ria – Vung Tau, Hai Nam Quy Nhon Company in Binh Dinh and Hop Phat Company in Thanh Hoa. The department said most of the businesses violated regulations on business licences. Others were fined for providing information which could cause misunderstandings about their products. It has co-operated with authorities in Binh Dinh and Thanh Hoa provinces to give fines to Hai Nam Quy Nhon and Hop Phat companies. It also decided to terminate operations of Wincom Corporation in HCM City. Previously, the department gave fines for several multi-level marketing companies for violations including a lack of transparency, tax reports, website registration and contracts. Management agencies asked multi-level marketing companies to submit information on their company name, headquarter address, branches and representative offices. In addition, the firms have to report their figures of turnover, commission, bonuses and other economic benefits in the first half of the year. Multi-level marketing companies also have to report the number of conferences and financial reports in 2015. The ministry promulgated a directive on enhancing check-ups and supervision on multi-level marketing companies. 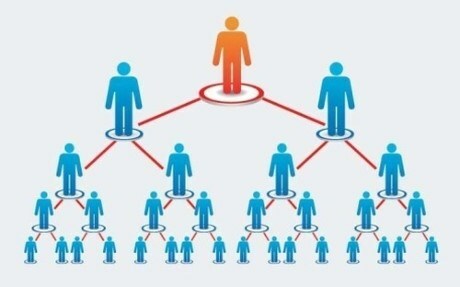 It has proposed to the Government to review the circular on multi-level marketing with an aim to tighten the operation to prevent losses for the public. In February, Hanoi-based multi-level marketing Lien Ket Viet JSC was discovered to have defrauded 60,000 customers.